What do scallops taste like? This article is geared towards helping the readers to know it tastes like plus helpful information that will make you familiar with scallops. Seafood? What is your favorite one? There are indeed wide varieties when it comes to seafood and some of the most common ones are crabs, oysters, octopus, lobsters, shrimp and more. How about scallops? Are you familiar with it? Have you ever tried it? If yes, what do scallops taste like? And if not, continue reading as you will be guided with essential information for you to learn the taste of this said seafood. But First, What Are Scallops? Are There Many Types Of Scallops? Considered as mollusks, scallops have soft texture along with a delicate and somewhat sweet flavor that could charm even those that aren’t into eating seafood at all. They look like small and squishy white disks once they are ready to be cooked. But in the original form, they are a marine bivalve mollusk. Being found all over the world, scallops could grow up to 9 inches. Different species of these are also available including the smaller and bite-sized bay scallop and also the iconic large-sized sea scallop. These scallops are also the fantastic source of Omega-3 and protein and are completely free of saturated fat. And there are numbers of health benefits that scallops could offer. The abductor's muscle is the part of the scallop which we actually eat. The same with other shellfish items, it takes a bit of time and know-how when it comes to the methods of breaking down its original form as well as extracting delicious edible parts. Watch this for ways on how to shuck and clean scallops. Sea Scallops: These type of scallops are large ones that often measure 2 inches in diameter and they are also the most common type not just because they are numerous but because of their availability all year round. Calico Scallops: These scallops are available from December to May. They are mostly harvested in the Southern Atlantic coasts and US Golf. While the same in terms of appearance, these shells are definitely sealed meaning they have a milder flavor compared to some other types. ​Bay Scallops: These ones are mostly available from the month of October to March and they are a lot smaller as well as sweeter compared to the sea scallops and also a lot more aesthetically pleasing. 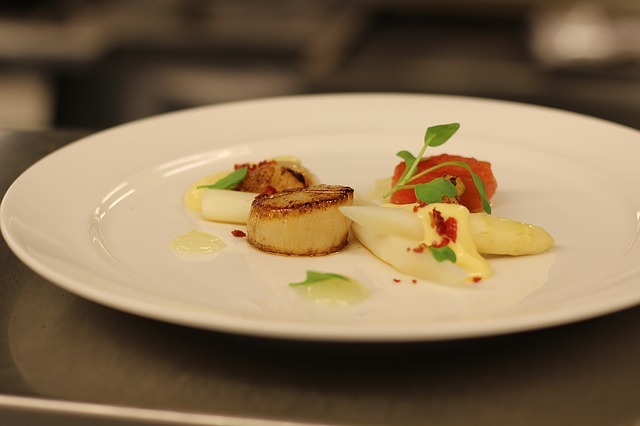 With regards to the taste of scallops, they have a very distinct taste which is somewhat fishy having not to be overwhelmed. Coined as the candy of the sea, scallops are known to have a unique sweet taste and they are rich in flavor as well. And take note that sea scallops are a lot sweeter than the bay scallops. The same with other seafood, they also have the smell of saltwater and fresh taste too. Other people would say that scallops are ﻿﻿fishy﻿﻿ but they are not unless you bought the old ones. Along with that, the most special part of this seafood is the soft fleshy texture. And even picky eaters of seafood could enjoy the mildly sweet flavor that scallops could provide. In addition, some other people would consider scallops as soft and chewy the same with a marshmallow with a seafood flavor. Once cooked properly, they could be a lot more tender and moist. This makes scallops to be tasty wherein you don’t need to combine it with any other spices. You can indeed learn what scallops taste like if you are to cook them the right way or simply eat them raw. Finally, once compared to other seafood when it comes to taste, scallop has a similar taste of the shrimp and the texture is a bit mild, neutral and smooth. However, theses scallops might be tough and rubber if overcooked. Broiled: Maybe you are looking for a healthier way then broiling scallops is indeed an easy and fast way to cook them for around 10 minutes or less. If you want a very clean and delicious broiled scallops then put them on skewers and brush them with melted butter and seasoning. Deep-fried: Since you really can deep-fry almost anything, scallops aren’t an exception. You can make a golden and crisp deep-fried scallops with a batter mixture of flour, egg, salt, water and cooking oil. Aside from frying your favorite fish, why not try scallops instead? ​Grilled: You will definitely love the smoky taste of grilled scallops. They are considered as great options for BBQ but don’t overcook them. Simply put them on skewers together with some other ingredients like fruits ﻿﻿and ﻿veggies. Pan-seared or Sautéed: This is considered as one of the common methods when it comes to cooking scallops due to the fact that it is convenient and fast. A crust that is golden brown could be achieved along with providing an additional caramelized flavor. 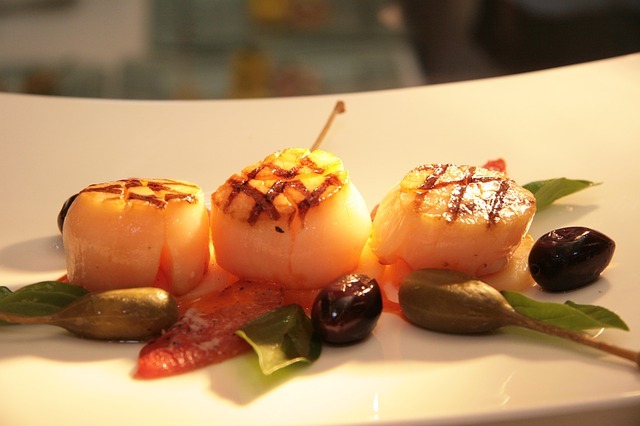 You can really enjoy and savor the taste of scallops if you are to perfectly cook them by choosing from these options. You will know that scallops are fresh if they are plump and if they hold the shape. 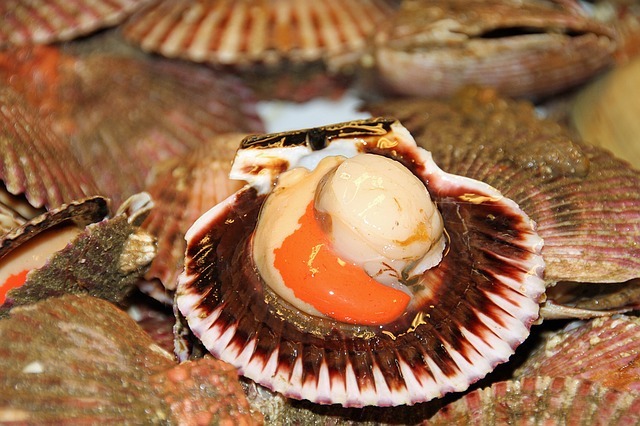 Diver-caught or dry-packed scallops are high quality compared to other scallops. Once you buy scallops that are already taken out the shells, you should not choose those with bright white in color rather they should be creamy white and shiny. You must not worry if the scallops have a pink or orange tint since they are nutritious. It is best that you choose scallops that are U10 size since it is considered as the best size for texture and sweetness. And those scallops with a smell of saltwater are a great choice if you want those recently caught ones. You will definitely have good scallops if you will be guided by these tips. Indeed, scallops taste great! If you really want to enjoy the taste of scallops then cooking them the ways they should be cooked must be considered. With the information provided above, I hope you are now aware of the taste of scallops. 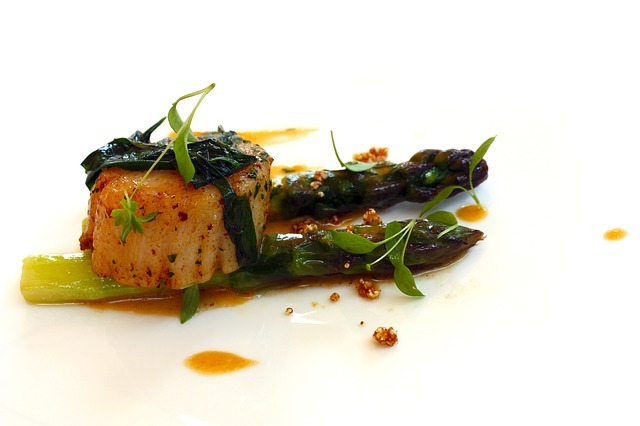 You will no longer ask “what do scallops taste like?” instead you might want to try one. 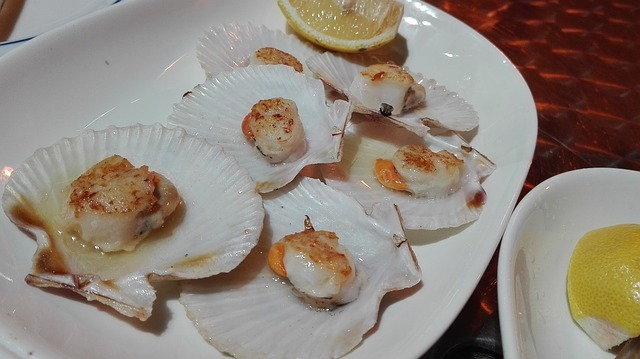 Did you enjoy the article and discover the taste of scallops? Post your comments below and share this article if you found it helpful and interesting!